For the locals, terrazzo is traditionally associated with architectural surfaces or stocky, solid-looking furniture. 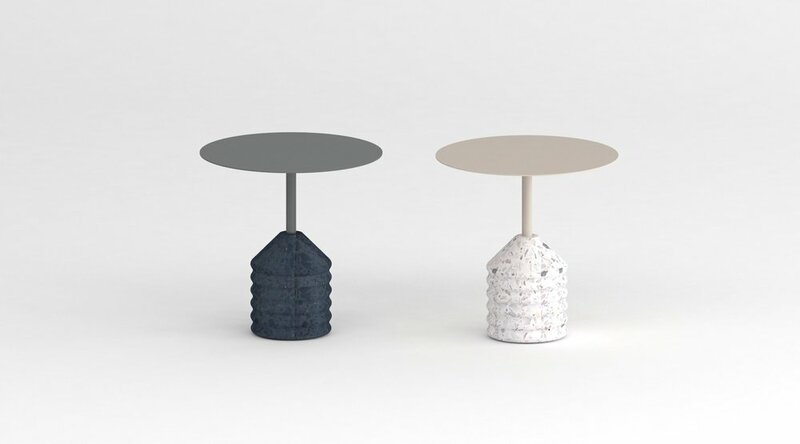 As the wheel of trends bring terrazzo back again, it is high time to rethink the use of it in furniture design and reshape the way we think about this good old material. A familiar sight of the stoic, sturdy and square terrazzo table with inlaid chessboard is refined and reimagined into a softer, curvier and rounder version. The chessboard is inlaid with brass strips to convey the sense of minimalistic luxury, in contrast with the banality commonly associated with terrazzo table. 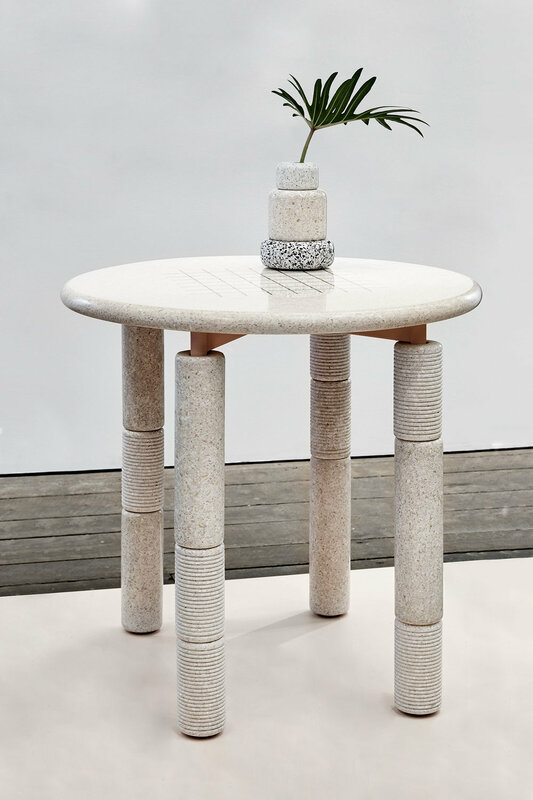 The stool negotiates between the stylishness of terrazzo and its unavoidable heaviness. Soft cushion is added to make it more user-friendly and practical. An attempt to challenge and overcome traditional mindset of terrazzo casting. A block of terrazzo is casted then lathed into the final shape. The weight of terrazzo provides the table with perfect stability. This stylish terrazzo bowls can swiveled and make your day less tedious. It can be used as a shallow vase or snack tray. 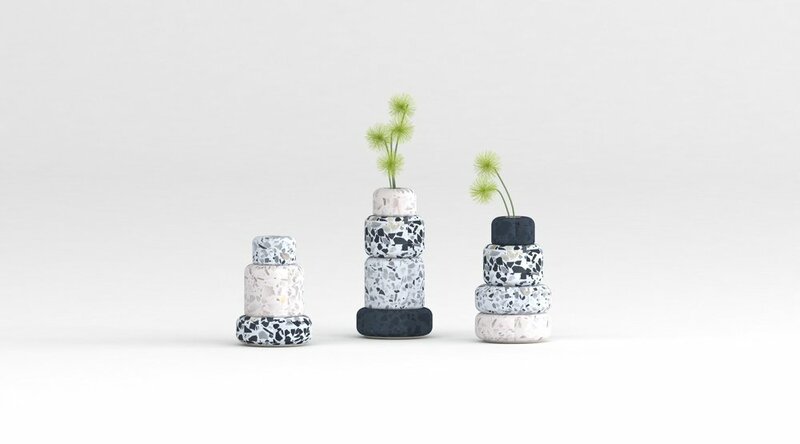 Pieces of terrazzo with different patterns can be stacked up in various combination, resulting in opportunity to play and have fun with shapes and colors. The design also reimages the sturdy, heavy terrazzo into a lighter and easy to move interior decoration.